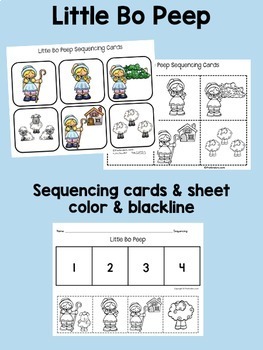 Little Bo Peep illustrated nursery rhyme books and sequencing cards. 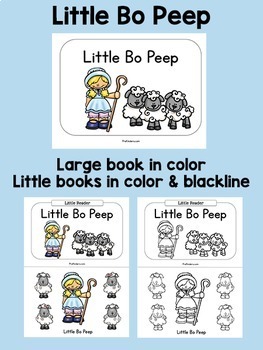 Includes both color & blackline! 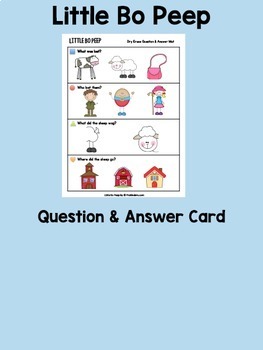 Nursery rhymes are proven by research to support children's reading skills. 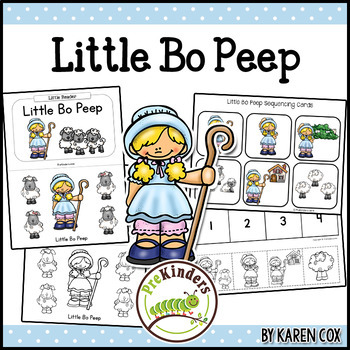 This set is also available in a Nursery Rhyme Bundle!